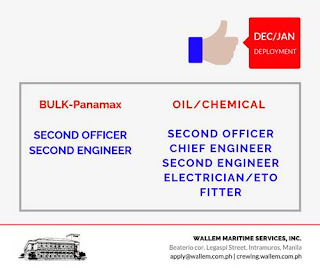 SEAMAN JOB INFO - WALLEM MARITIME SERVICES INC. 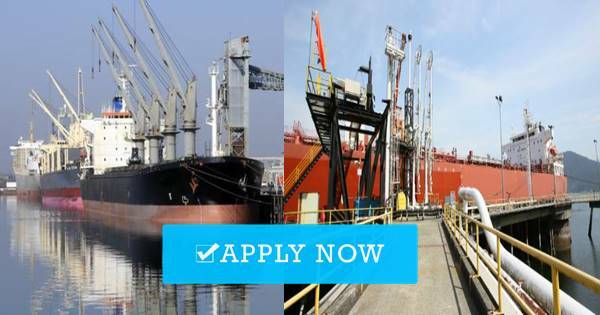 Hiring seaman crew deployment December 2018 - January 2019 for bulk carrier, oil chemical tanker ship. Share to help other seaman looking jobs at sea. Apply for the highest paid jobs in your area now. No exp needed. Customized advice. Career tips. Match your skills. 0 Response to "Fitter, Electrician, 2nd Engineer, 2nd Officer, Chief Engineer"